Malta’s archipelago in the Mediterranean sits between Sicily and North Africa and is known for its relaxed cruising grounds, protected anchorages and long sailing season. Explore 7,000 years of history, dive cobalt seas, swim lagoons and try delicious Mediterranean cuisine. The three main islands of Malta, Gozo and Comino make up the archipelago, together with the smaller uninhabited islands of Cominotto, Delimara Island, Filfla, islands of St. Paul/Selmunett Island and Manoel Island. 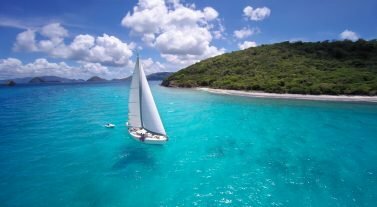 It’s an easy destination to sail with plenty to offer to those who love culture, diving and swimming. If you are an experienced sailor on a two-week charter, you can sail to nearby Sicily, which is north of Gozo. Malta’s historic capital city of Valletta with its impressive bastions or head inland to the ancient walled city of Mdina with its labyrinth of streets lit by lamps at night, or nearby St. Paul’s Catacombs, a Roman cemetery in Rabat. See the remote Dingli Cliffs on the west coast for a view from the highest point in the archipelago, or sail to the blue grotto at Zurrieq. On a calm day you can swim at St Peter’s Pool at Marsaxlokk, a beautiful natural pool. The island has an exciting program of events too, such as the Malta Arts Festival and July’s International Jazz Festival. 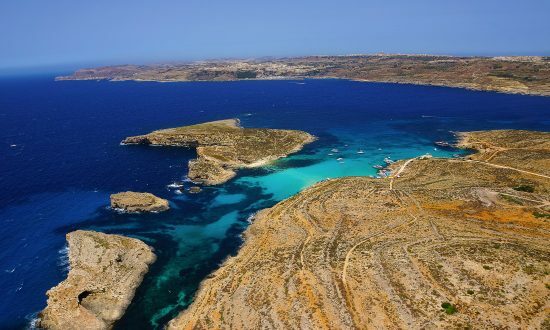 Divers and swimmers will love the sister islands of Gozo and Comino. Dive at Dwejra Point, Fessej Rock, Fungus Rock and San Dimitri Point on Gozo. 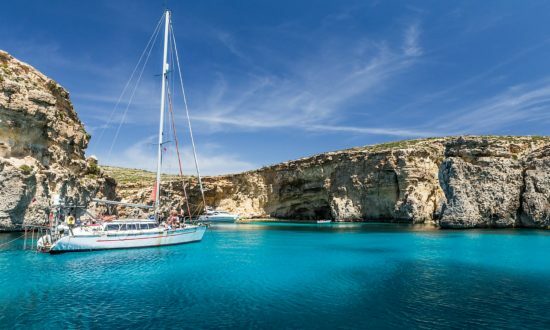 Sail to Comino to see the blue lagoon and enjoy a wonderful day swimming in its aquamarine waters. The fresh seafood is plentiful and includes bass, grouper, bream and mullet. 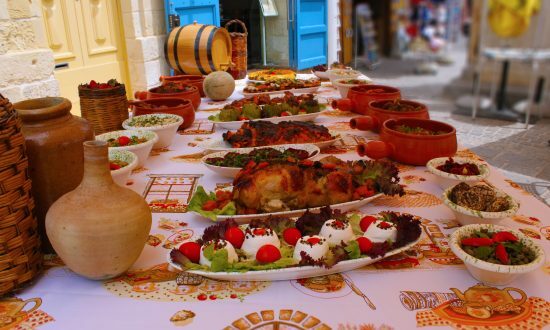 Try the local dishes, such as Lampuki Pie made with fish, Kapunata ratatouille, a broad bean pate known as Bigilla and a pastry filled with ricotta. Dream Yacht Charter in Malta: Choose from our bareboat fleet from our base in the sheltered marina of Port Roland, Ta’ Xbiex . If you need help planning your charter, check out our inspirational itineraries or get in touch with our team to find out more. The time difference in Malta is Coordinated Universal Time (UTC) +1 hours. Talk to us to make sure you have the correct documents before you travel. Malti is the local language but English, French, Italian, Spanish and German are widely spoken. There are plenty of bus routes and the service is regular, you can find the timetable here. You can also use the white taxi service, which you can pick up from anywhere except bus stops. Remember to agree on a fare before you get into the taxi. For specific information about restrictions, visit the customs department website. The currency is the Euro. ATMs are widely available. Banks are open Monday to Friday until mid-afternoon and some are open on Saturday mornings. You will find Wi-Fi hotspots across Malta and you can find a map of them here. Temperatures in Malta have a typically dry, Mediterranean climate, which gives a long sailing season. In the spring, temperatures are around 77ºF before peaking in the summer months around 87ºF on average. Even during fall, you can still enjoy warm days around 75ºF right up to mid-October. This destination has low rainfall, which peaks during late fall and winter. Sailing conditions in Malta offer an easy going charter with plenty of opportunities for sheltered bays and anchorages. Winds average Force 2-3 and there are several wind systems, including the prominent northwesterly gregale which brings dry weather and the sirocco which beings hot, humid weather from Africa. You will need to be an experienced sailor to sail over to Sicily. Plan your magical Maltese sailing adventure with our inspirational itinerary below, from impressive dive sites to ancient cities. Embark from our base in Roland Marina, in Ta’Xbiex, a small town situated in the center of Malta, not far from the main city of La Valette and Birgu, also known as Città Vittoriosa (“Victorious City”). 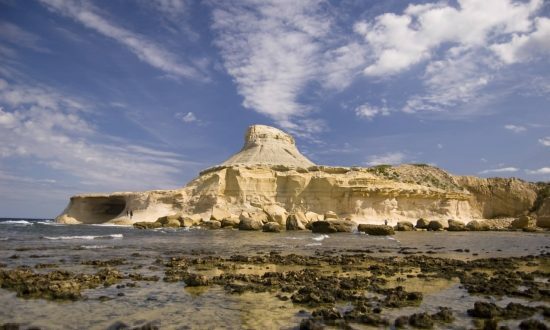 Set sail to Gozo, also known as the “Island of Calypso”, because a legend says that Calypso kidnapped Ulysses and kept him here for seven long years. It is here you’ll find many notable natural features like the Inland Sea and Wied il-Mielaħ Window, a famous arch much like the Azure Window. Choose from the island’s many beaches and seaside resorts that are popular with both locals and tourists. Stop for lunch at Mellieha Bay, the largest and one of the most beautiful and popular sandy beaches in Malta. Then, set sail to reach the south of Gozo Island and Mġarr, its largest fishing village. Discover Dwejra Bay, one of the best places on the island, where some scenes from Netflix smash, Game of Thrones were filmed. Not far from here, you will discover the Azure Window, natural stone arch that partly collapsed in 2017 during a brutal storm, although you part of the arch is still visible. Take some time to explore one of Malta’s most famous dive sites, the Blue Hole, a fantastic 10m wide inland sea pool leading into a large crevice and through to the open sea. The rocky point near the site known as “Coral Gardens” is ideal for snorkeling. Stop at Ramla Bay, famous for its golden orange sand. Make sure to walk to Calypso’s cave and the sandy path that leads to this beautiful cave is believed to be the place where Ulysses was held captive. Blue Lagoon is one of the most famous Maltese beaches lying on the Northern coast of Malta. It’s a small bay with shallow, cyan waters that lies between the main island, Comino and Cominotto (an uninhabited rock-sized island). Spend the day enjoying the view, relaxing on the white sand beach and discover the marine life with your mask and snorkel. 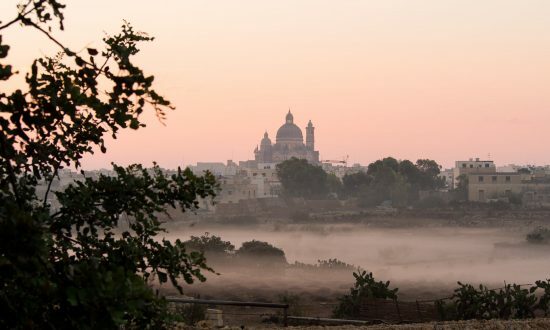 Comino is an animal sanctuary and a natural reserve, and the entire island and surrounding islets are part of the Natura 2000 Network. Set sail to the west side of the island. You can stop at Anchor Bay, where you will find the Popeye Village in a cove with turquoise waters, a strange wooden village built in 1979 for the film POPEYE, in which Robin Williams starred. Continue to Dingli cliffs, the highest point of Malta, around 253m above sea-level, with fantastic open sea views. On your way to Marsaxlokk, discover the Ħaġar Qim temples – a megalithic temple complex dating from the Ġgantija phase (3600-3200 BC). They are among the most ancient religious sites on Earth, described by UNESCO as “unique architectural masterpieces” and recognised as a World Heritage Site in 1992 with four other Maltese megalithic structures. Stop at Marsaxlokk harbour for an overnight stay and have dinner in a nice restaurant in the port. Marsaxlokk is 12km from Valletta and is where the first Phoenician sailors landed in the 9th century and set up business. Today, this small village has become the largest fishing port on the island. It is also the most impressive with its brightly colored boats painted with the Eye of Osiris at the bow and its Sunday fish market. End your day at Marsacala Bay, an ancient fishing village in Malta with a wonderful bay. Marsascala’s bay has a promenade continuing all the way to St. Thomas Bay with views over the rocks, vibrant fishing boats and saltpans. In summer, the village is buzzing with life and many Maltese families have summer homes here. Day 7: Marsacala Bay – Valetta – Roland Marina (12 MN) – Return to base. On your last day, disembark to discover Valletta, the capital city of Malta to immerse yourself in the rich history of the twists and turns of the island and its most famous protagonists, the Knights of the Order. The city is baroque in character with elements of mannerist, neo-classical and modern architecture. It was officially recognized as a World Heritage Site by UNESCO in 1980. Enjoy some time in Valetta before having a last dinner in a delicious Maltese restaurant on the port. Our Malta base manager will be pleased to welcome you on arrival at our base in Port Roland,Ta’ Xbiex. The marina has excellent facilities including Wi-Fi, water, electricity, fuel, laundry, cleaning, provisions, showers, taxis, security and weather forecasts. It’s based in the main yachting area of Malta, so you can find chandleries, supermarkets, fresh produce, as well as bars and restaurants. Fly from New York to Malta International Airport (MLA) via Munich or Frankfurt with United Airlines and Lufthansa, or from Los Angeles via London Heathrow with Virgin Atlantic and Air Malta. Our base is a 20-minute taxi ride from the airport. We can arrange airport transfers on request. Make sure your passport is in date and valid for the duration of your stay and look under our Handy Info section for visa advice!